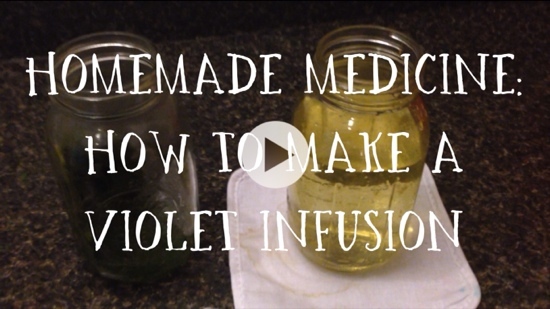 Last week I posted an article on the edible and medicinal uses of violet. As a recap, an infusion made from Violet (Viola odorata) is fantastic for any kind of mouth sores (both internally and externally), bronchitis, cough or strep. And since Violet is also an anti-inflammatory, the infusion is helpful for rheumatoid conditions as well. Unclear about how much to drink? I have arthritis and have used tumeric some Perhaps this could be added. They recommend about 1/2 cup (4 oz) per day. I’m not a Master Herbalist by any means though, so it would be best to speak to one for recommendations for your condition. Is there anyway you can post it in typed written or way I can find this written down? I have limited data on my smart phone and do not have a computer unless I get the opportunity to go to the library.